When you reach level five in Pokémon GO, you're asked to make the most important choice of your life: You must ally yourself with one of the game's three teams. From there, you conquer Gyms under the banner of Team Valor, Team Mystic, or Team Instinct. Curiously, Pokémon GO's team leaders are introduced as nameless silhouettes. It's odd because wars are almost always fought under the rallying gaze of a poster-perfect figurehead. But Pokémon Go prefers a slow burn with its propaganda, and San Diego Comic-Con 2016 finally introduced us to the captains we're fighting for. Spark: Most likely to drag you on a 12 a.m. pub crawl / Pokemon-catching binge. If you're Team Valor, you're part of Candela's confident crew. 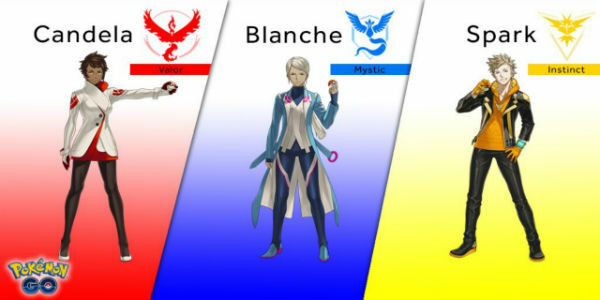 If you're Team Mystic, you're operating under Blanche's cool gaze. And if you're Team Instinct, bless your heart, you're now Spark's best bud. 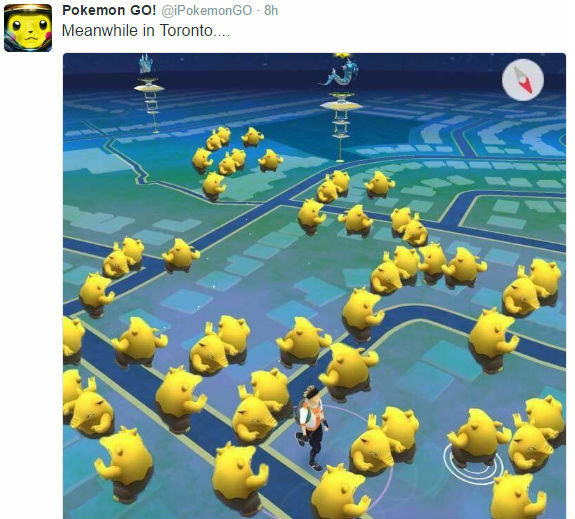 Niantic had a huge Pokémon GO panel at Comic-Con last weekend. The fervor surrounding Pokémon GO caused the event to be bumped up to Comic-Con's iconic Hall H, the 6500-seat auditorium typically reserved for events hosted by the likes of DC and Marvel. During the panel, Niantic head John Hanke said Pokémon GO in its current form is approximately 10% of what the studio ultimately has planned for the game. "Trading is not in Pokémon GO today, but it's something we're working on bringing to the product," Hanke told the crowd (via Comicbook.com). "Don't get too excited - we need to make sure we can keep the servers up first!" Indeed, Pokémon GO's earliest days were problematic, to say the least. While the game's servers have since stabilized, they're far from perfect – and Niantic has a mountain of other problems to tackle as well if it hopes to whip Pokémon GO into prime fighting shape. This is an exaggeration, but just barely. Niantic knows it has a lot of work to do, though. A future update will deal with Gym poachers – that is, players who snap up a gym right after you've done the hard work of clearing it out. A fix for the "three step bug" is also in the works. If you're not familiar with the term, the three step bug references Pokémon GO's useless built-in PokéRadar. Though the radar is supposed to inform you which Pokémon are closest to you via a series of footsteps (one footstep meaning the pictured Pokémon is nearby, three footsteps meaning it's further away), every Pokémon is marked with three footsteps, even if it's nearby. Despite Pokémon GO's tumultuous start, Niantic is thrilled to hear the app is causing kids (and adults) to get out and walk for miles while socializing. They're also happy to hear Pokémon GO is playing a role in rehabbing kids in hospitals like the children's hospital at the University of Michigan. "From the perspective of us at Niantic and the team, the thing that keeps us working is to hear back stories like that," Hanke said. Oh, and the "glitch" that lets you evolve your Eevee according to its name? That was programmed in on purpose. And Niantic hinted there might be similar Easter eggs elsewhere in the game. I've already pointed out how Pokémon GO's potential as an AR game is almost immeasurable, so I'm really interested in seeing what Niantic has planned for the future. Hooray for Team Valor! Long may Lady Candela bathe in the blood of our foes. Tagged with Android Devices,	AR,	ar gaming,	ios,	MMOs,	News,	Niantic,	Pokemon,	The Pokemon Company.